Viewing sample homeschooling schedules is a great way to come up with ideas for your own. 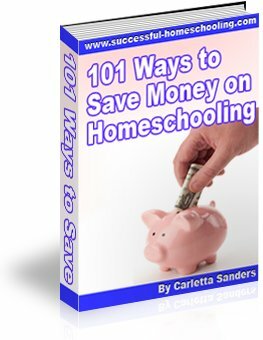 The following video contains step by step instructions for creating a homeschool schedule. Below that is a summary of our routine, along with a collection of routines that were submitted by other homeschoolers. Our home school routine revolves around 3 blocks of time - morning, afternoon and evening. We begin with breakfast, followed by morning chores (getting dressed, brushing teeth, making beds and starting laundry) and the 3 R's (reading, writing and arithmetic). These are the most essential tasks in our day, so we take care of them in the morning in order to account for any interruptions. After school, we have free time until lunch, and then we begin the 2nd segment of our day. Afternoons consist of lunch, reading aloud, and an hour or two of quiet time, during which my younger children nap and my oldest finishes any work he didn't complete that morning. After quiet time, we have a snack, practice memory work, fold laundry and do our chore for the day. Next, we straighten up the playroom and family room, and begin our evening routine - dinner prep, dinner, clean up and family time. After bath and story time at around 8:30 or 9:00, the children go to bed and my husband and I have the rest of the evening to ourselves. Here's a more structured, detailed, timed version of our daily schedule. Here are some planning forms you can use to create your own schedule. You can edit these forms on your computer or print them and fill them out by hand. Scroll down to the bottom of this page to view schedules that were submitted by others. Follow this link to find more tips for creating your own homeschool schedule. You can help other homeschoolers by sharing your homeschool schedule using the form below. Do you have a homeschooling schedule that's working wonderfully for you? Share your tips and ideas with others by posting your homeschool schedule. Your schedule will appear on a Web page exactly the way you enter it here. You can wrap a word in square brackets to make it appear bold. For example [my story] would show as my story on the Web page containing your story. Semi Schedule for 7 , 10 yo. and Disabled 15 yo.